9 November 2011, Taipei, Taiwan – Gem Hsin Electronics, a leading LED lighting manufacturer, is excited to announce new advances in their research and development of LED lighting products that enable wider beam angles than competitors and unparallelled uniformity of light. Combined, these patented design achievements give Gem Hsin's products superiority that is unmatched in the LED industry. 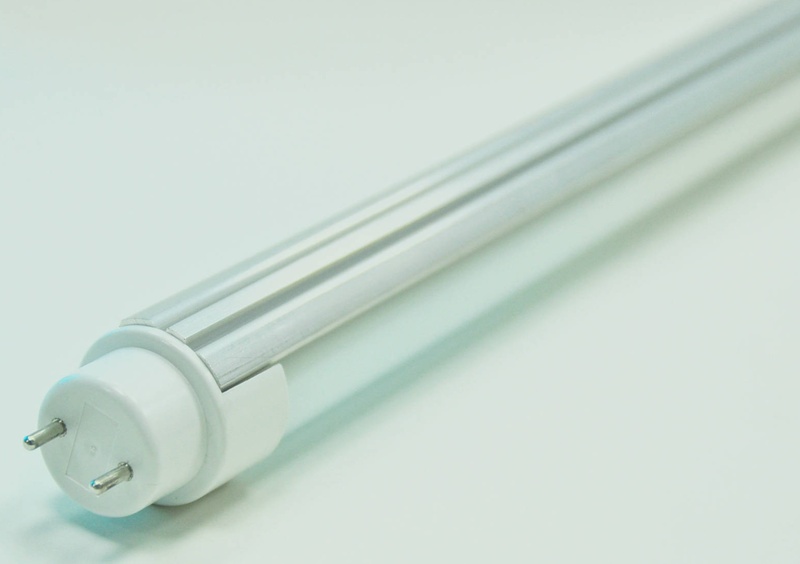 Gem Hsin has already started incorporating these cutting-edge research breakthroughs into their line of T5 / T8 LED Tube Lights. Gem Hsin's engineers, with their extensive backgrounds in cooling, have made significant breakthroughs in reducing the size of the heat-sinks needed in their LED products. Using laser-precision technology, extremely small holes are drilled beneath each LED, creating direct paths for heated air to escape to the heat-sink. This improvement, while seemingly minute, means that LEDs will stay cooler, improving efficiency and lifespan, and at the same time require less heat-sink mass for thermal optimization. Furthermore, this design breakthrough enables Gem Hsin to offer lighting products that have much wider beam angles, up to 220 degrees, as compared to competitors who typically can only offer beam angles of 180 degrees. One of the major criticisms of LED light has been that it is too focused and unpleasant, but these wider beam angles, now available in Gem Hsin's LED lighting products, provide unmatched natural LED light for home and office environments. 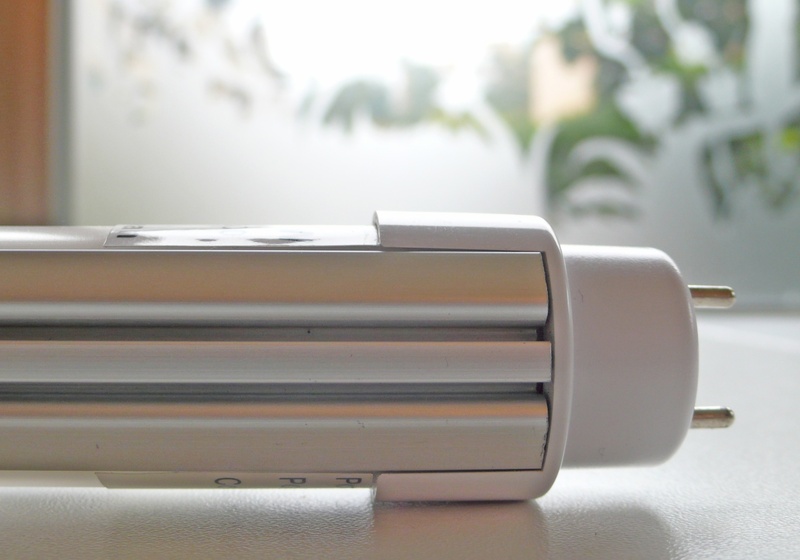 Gem Hsin's R&D team has also developed a new way to position LEDs into tube lights. Whereas other LED makers use a single row of LEDs in their tube lights, Gem Hsin is now implementing a design that increases uniformity and quality of light by using two, staggered rows of LEDs. Instead of uneven light with unsightly bright and dark areas, Gem Hsin's T8 LED Tube Lights produce, along their entire length, exactly the same, fantastic, high-quality, natural, soft light that consumers have been waiting for in an LED tube light. Both of these engineering accomplishments have already been recognized as unique inventions and granted patents in Japan and Taiwan. 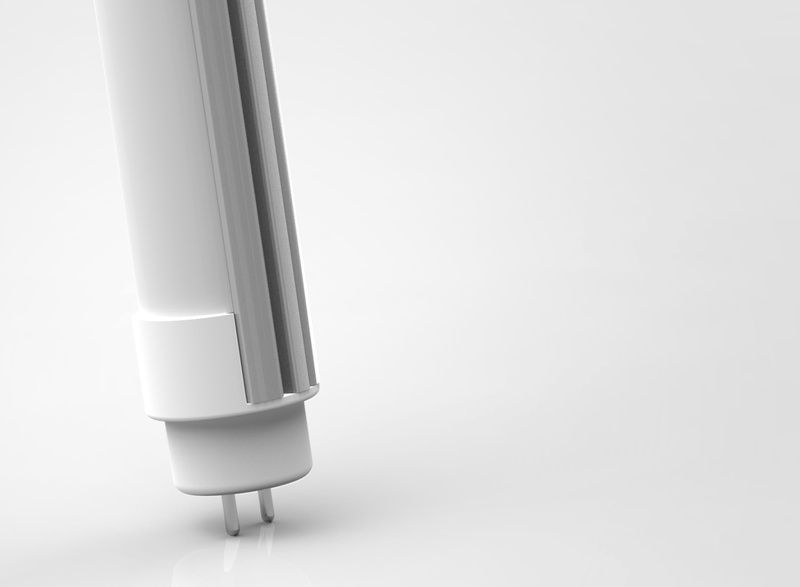 Furthermore, Gem Hsin has started incorporating them into their line of T5 / T8 LED Tube Lights that use 20% less energy than competing products and are available in two-feet-long, three-feet-long, four-feet-long, and eight-feet-long models,providing users with substantially lower operating costs. “These innovations combine to produce remarkably even and natural illumination. Gem Hsin is seeking to expand its global distribution network, and welcomes inquiries from distributors worldwide. Gem Hsin Electronics is a Taiwan-based manufacturer of LED lamps and other creative modern products with a special dedication to advancing technology and developing energy saving products. Innovation is a priority at Gem Hsin, with several products incorporating unique patented technology. Gem Hsin's vision is for all to enjoy green living, improve efficiency and save energy. As a professional OEM/ODM supplier, Gem Hsin Electronics works to give its customers friendly LED lighting solutions of the highest value and quality. From optics, electronics and physical structure, to stunning industrial design and packaging, Gem Hsin guarantees a full range of services to suit every customer. To find out more about Gem Hsin and the company's line of products, please go to Gem Hsin online at GemHsin.com.